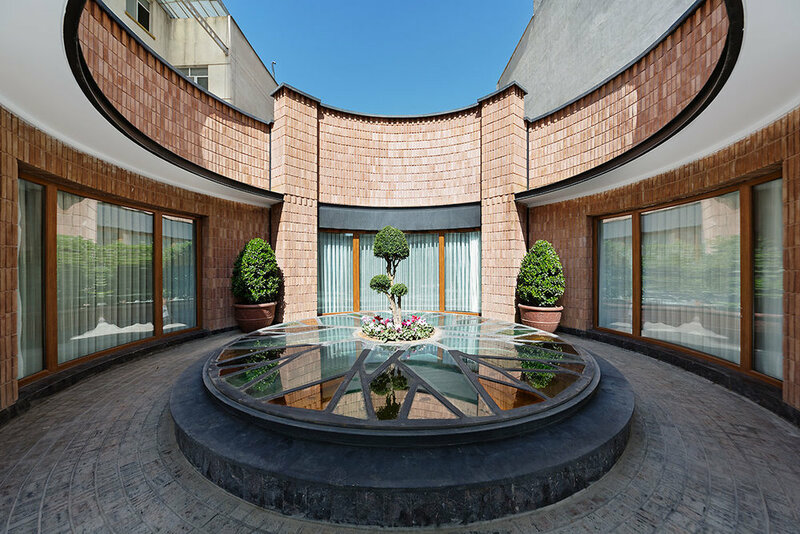 This work is an example of preserving valuable buildings in Tehran while the majority of development usually consist of breaking down old buildings to produce new residence. 20-year old existing 3 story house including one basement and 2 living floors, located in a narrow valley in one of the crowded neighborhoods of Tehran suffered from dim , dark living areas , old facilities and materials both interior and exterior. so it turned out to be a whole renovation project including structural and mechanical system repairs and extending by adding the third floor as a private flat. First step was to design integrated plans to create more open and livable space. The most problem of darkness was in the middle of plan caused by the length of the built area. The main concept of design was inserting light and color inside the building and this was achieved by a skylight above a void as the core of the house. Other living areas arranged around this core, first floor hosts public activity areas while the private rooms and related service areas located in second floor .third floor flat cuddled the skylight as a private yard. The shape of tree routes in skylight shows the transformation between skylight to the yard. Tehran’s fast development raises many problems such as less green space , as seen most of the balconies are unused areas in apartments. House interaction with green space was another design concept. 2-layered south façade provides balconies in second floor to be used by private rooms and a public porch to integrate the yard and living areas located in first floor . roof garden expands the green space through the built area. Setting back about 2 meters from façade line allowed us to provide daylight and green space for the basement which is allocated to fitness facilities, parking and service areas. Façade design and materials indicate the Iranian traditional architecture with some differences in detail to make it compatible with today’s life. Brickworks in North Façade was designed to shape the curved form of entrance ,by a closer look you see glass openings come along the bricks which reminds the water flowing in the sand to create a sense of local nature.